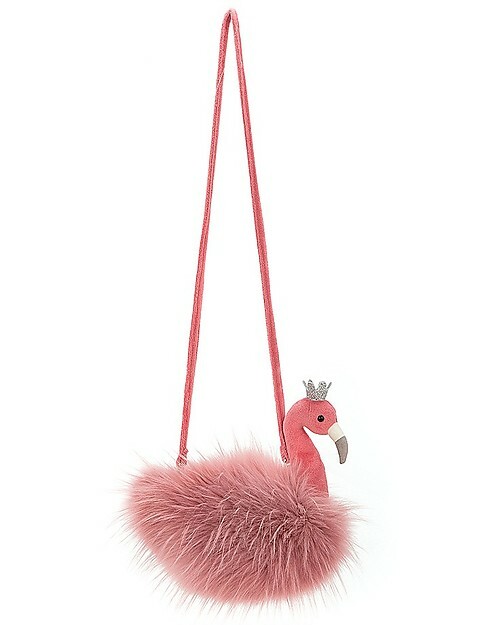 Fancy Flamingo Girl Bag - Super fun and useful! 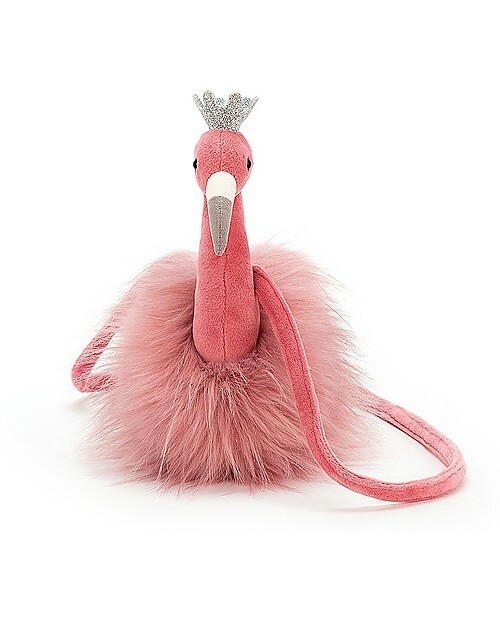 Pink and playful, the Fancy Flamingo Bag by Jellycat is absolutely gorgeous! 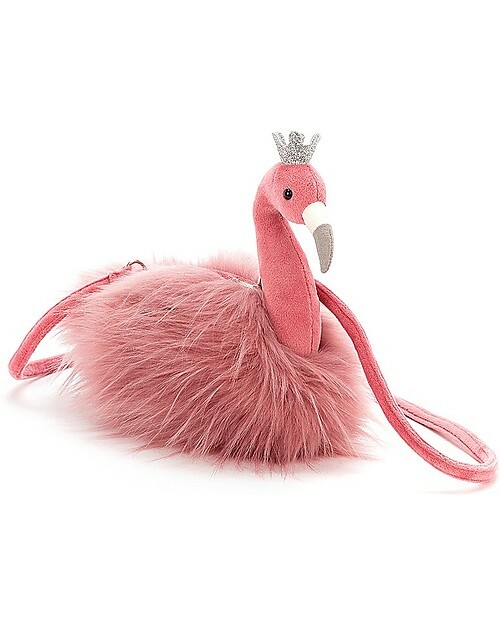 This true diva has blush fluffy plumage, head held high and a squishy silver crown. 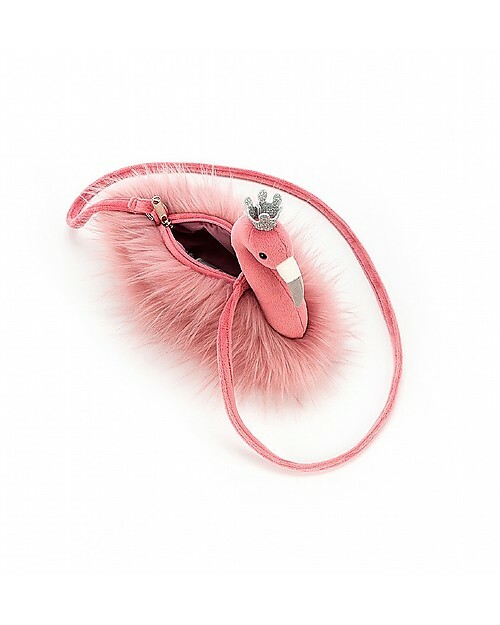 Swing it over your shoulders and take it with you anywhere you go to keep your valuables and small objects secure thanks to the lenghty zip.This wonderful bag will always have phenomenal feathers, no matter the weather! 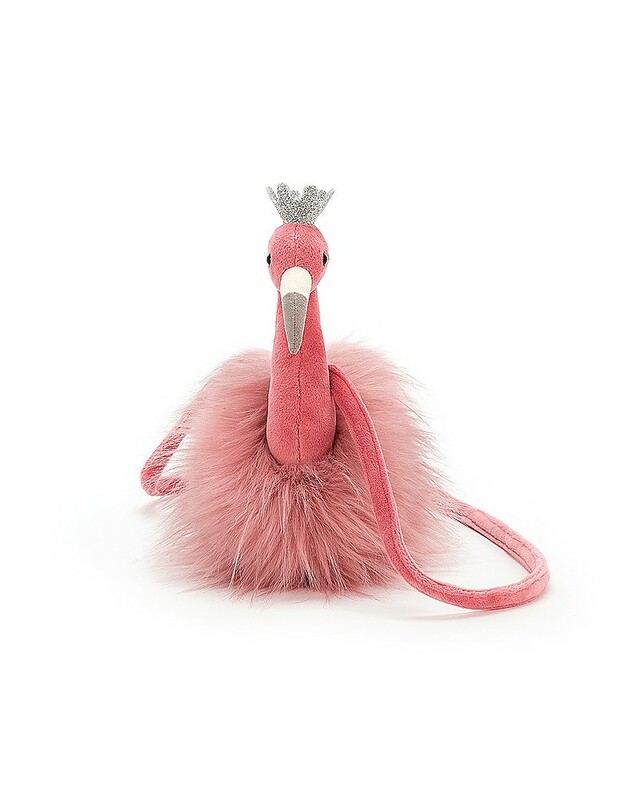 JellyCat is an English soft toys company that combines quirkiness and style! Irresistibly cuddly, sophisticatedly silly, hilariously humorous: Jellycat toys are the perfect gift idea for all ages, to hug, cuddle, and adore! 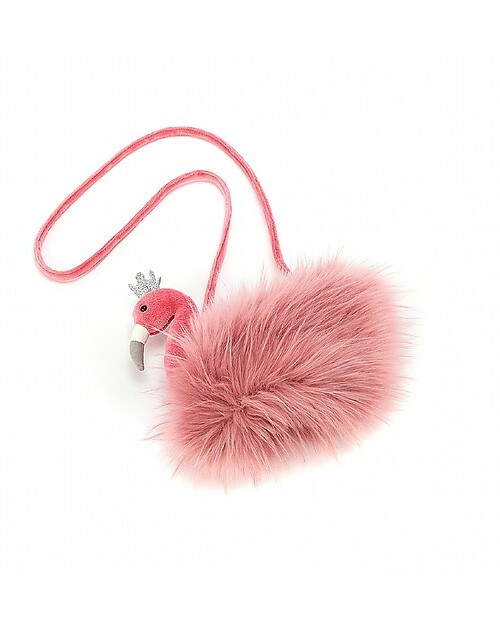 Amuseable is a Jellycat collection of soft toys and kids fashion accessories inspired by the colourful world of fruits! This item is not a toy. Complies with the European Directive for its product group. JellyCat is an English soft toys company that combines quirkiness and style! Super soft, made with luxurious fabrics, JellyCats teddy bears, animals and baby toys are sometimes cute sometimes bizarre, but always irresistible! A child came up with the brand's name: he loved jellies and cats and somehow wanted to combine them both in one thing. 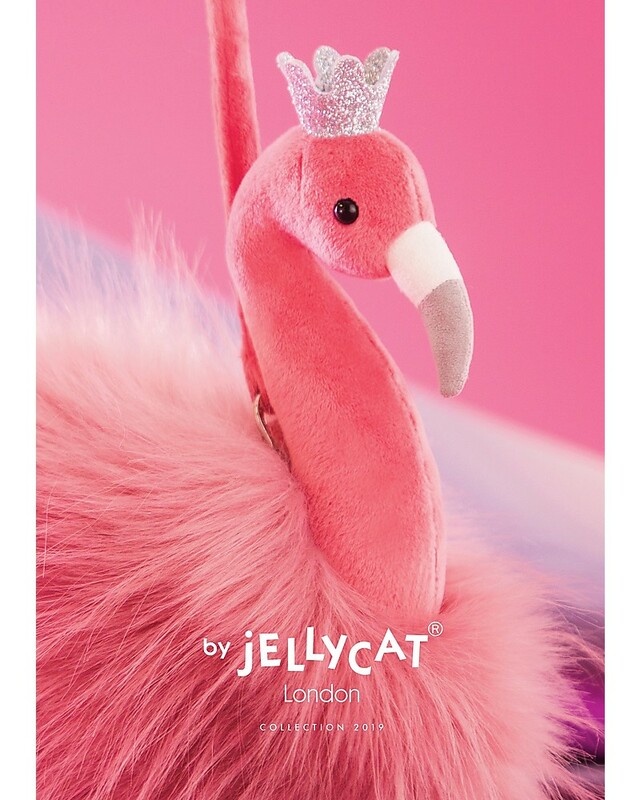 And here it is, the silly thing: founded in London in 1999, JellyCat has grown considerably since then, launching two new soft toys collection every year, and is now worldwide recognized as the soft toy creator with a difference. JellyCats bears, mice, owls, bunnies, foxes, birds and all other animals are irresistibly cuddly, sophisticatedly silly, hilariously humorous: the perfect gift idea for all ages, to hug, cuddle, and adore!